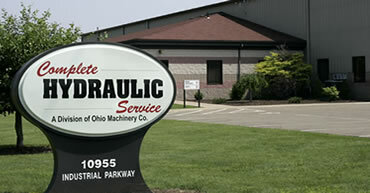 Complete Hydraulic Service was established by Ohio Machinery Company in 1995 to provide hydraulic manufacturing services and repair for all makes of construction and earthmoving equipment. Since then the Bolivar company has grown from 5 employees to over 40. Complete Hydraulic Service moved into a better and larger facility, and the operation now remanufactures cylinder pumps, motors, and valves for all makes and models of equipment in the construction, earthmoving, scrap, recycling, surface mining and underground mining markets. View the video for more information and a facility tour. Learn about some of the important terms, methodoligies, and services provided by Complete Hydraulic Service Machining and Repair jobs. What is hydraulic cylinder honing? Why is contamination control so important? What does oil analysis tell me? What transmissions can be tested and why? What benefit does mobile line boring provide?